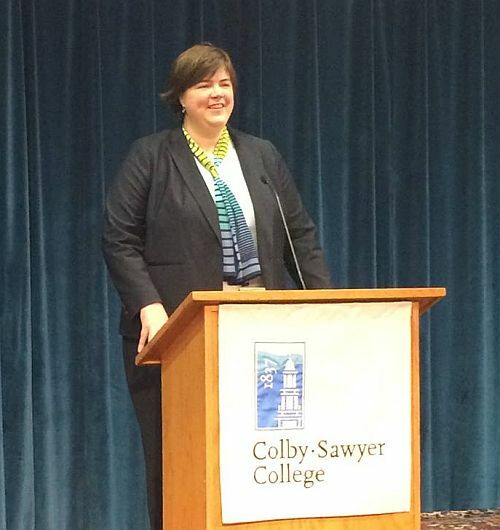 Colby Sawyer College welcomed their President Elect on Tuesday. Susan D. Stuebner Ed.D will be the college’s ninth president. On a recommendation of a 12-member search committee, the College Board of Trustees unanimously approved Stuebner’s appointment. Stuebner has over two decades of experience in higher education and is currently the executive vice president and chief operating officer at Allegheny College in Meadville PA.
Stuebner replaces President Thomas Galligan Jr. who announced in September that he would not seek a third term after 10 years in office. Galligan accepted the position of dean of Louisiana State University’s Paul M. Hebert Law Center where he starts on July 1. On July 1, Stuebner will assume her duties as the college’s president. This entry was posted in college, community, education, New London, news, NH on March 9, 2016 by GrowingInArt.